Consumed is a collection of found and recycled objects, gathered and stripped of any identifiable labelling. 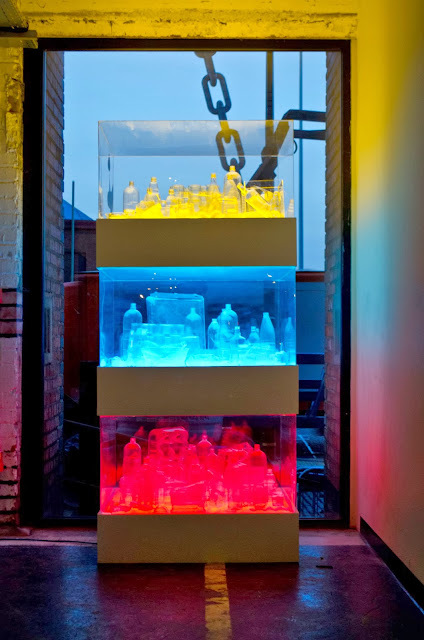 These consumerist objects are displayed within three large perspex cases. 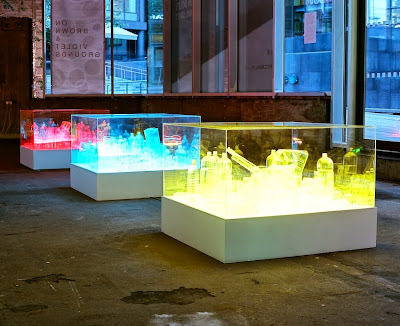 Underneath each of the vitrines, powerful light boxes emit primary colours that soak the plastics and radiate vibrant hues that bleed together on nearby walls. Lowering our gaze inside the light boxes, the ethereal reflections further distorts our visual perceptions of the objects and singular case. In elevating these mundane objects by directly appropriating museological display methods, such as the vitrine and systems of ordering/classifying objects, West asks us to consider the inherent beauty that emerges in these gatherings. Consumed was commissioned for Barnaby Festival, Macclesfield. The work responded site-specifically to an empty shopping unit in the Grosvenor Shopping Centre. As part of West's continuing studio practice, the reinterpretation of materials and past works is paramount to the development of new ideas. 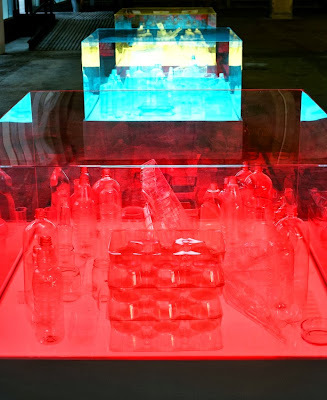 In Consumed #2 West has adapted and reconfigured an installation responding site-specifically and spatially to Victoria Warehouse of the exhibition Synthesis, part of Manchester Science Festival. 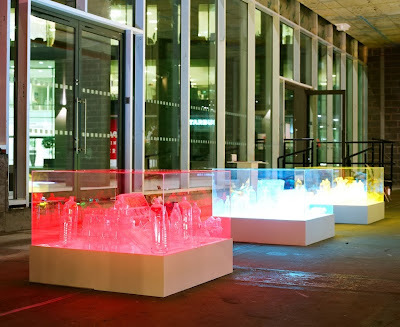 Exploring colour theory, sensory impact and intensity of light saturation, West intrigues and captivates viewers by utilizing everyday items and turning them into new sculptural forms.